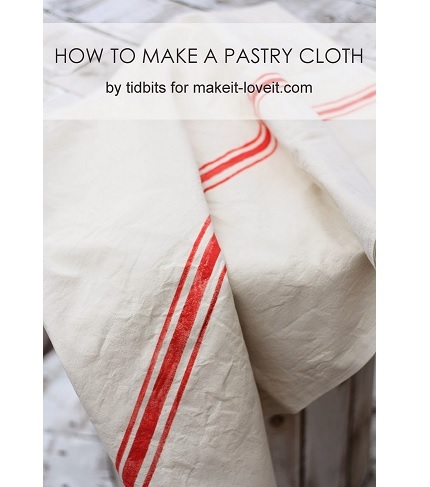 Cami from Tidbits guest blogs at Make It and Love It giving 6 reasons why pastry cloths are helpful in the kitchen, and also sharing a tutorial showing how you can make one. It’s made from two layers of unbleached drill fabric – a heavy fabric much like duck cloth or canvas – so it will stand up to repeated use. It’s a quick project, one you can do in under an hour. Go to Make It and Love It to get her tutorial.